Fit N Right is giving away 90 ipads! A majority of the Earth's population is fascinated with it and it still hasn't officially been brought to our shores. 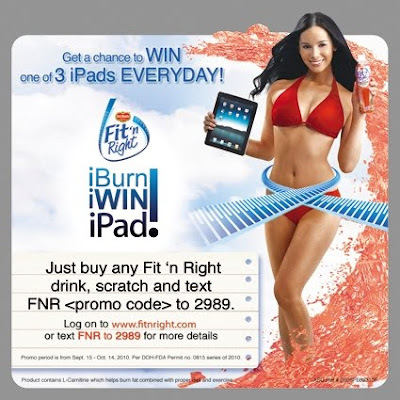 Apple freaks rejoice as Fit N Right is giving away iPads daily for 1 whole month. Run to the nearest store and look for Fit N Right bottles with the "iBurn! iWin! iPad" sticker. Scratch the sticker and text the promo code to 2989.